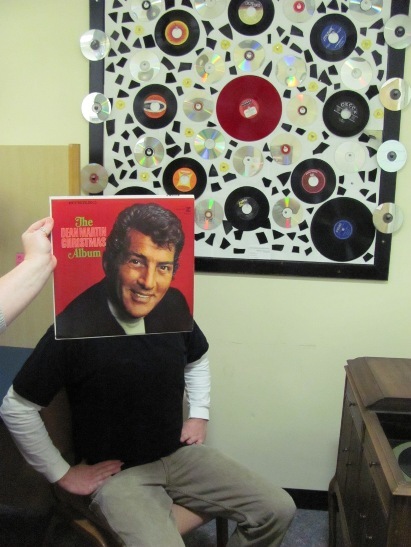 Though the holidays make him a little blue, Dean Martin always cheers up when he visits the mosaic in the Music Library. In this photo: Dean Martin, Susannah Cleveland and Matt Donahue. Photo by Liz Tousey.